These heavy white turkeys are the most popular for raising. 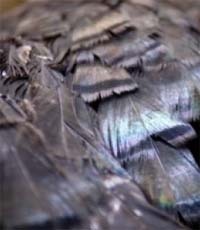 They are easy to dress because of their white feathers. These birds can reach weights up to 45 lbs. so this means a lot of profit for the amount of input. 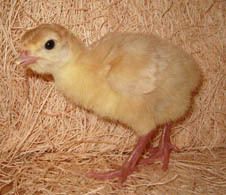 We sell the Nicholas heavy turkey from some of the best breeding stock in Western Canada. Price is $10.55 each, minimum of 10 – unsexed only. Unsexed only, limited quantities, order early. Due to the limited availability, Orlopps will not be available at some agents. A premium, broad-breasted turkey, the Orlopp Bronze is the product of choice for the most discerning tastes and the grandest occasions. Excellent conformation, high meat quality, natural fat layering and beautiful bronze feathering is delivered with very competitive feed conversion rates and industry-leading health status. 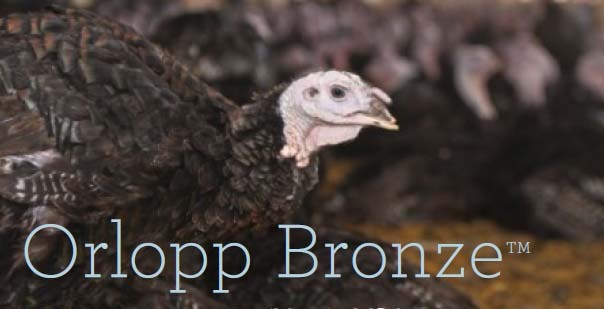 Orlopp Bronze has been the standard of excellence for the traditional, whole bird marketplace for over 75 years. Today, that proud tradition is reinforced and preserved by Hybrid Turkeys—the established, world leader in breeding, flock health and premium genetics. The breed that established the premium niche turkey market began in 1935 when the Orlopp family purchased 400 bronze line eggs from a farm in Washington State. The birds that produced these eggs originated in England and were exported to Canada before arriving in the U.S. The Orlopp family continued to focus on breeding and management techniques to grow the finest quality birds. To further enhance the breed, the family acquired another bronze breed in 1954. 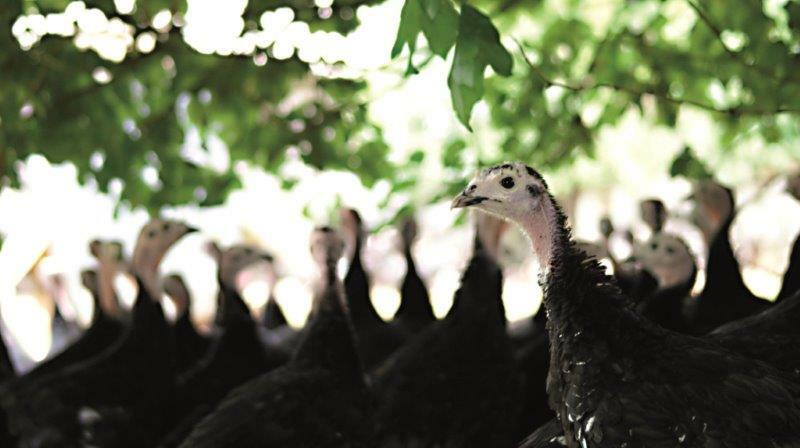 Since purchasing this breed in 2005, Hybrid Turkeys has worked to preserve and strengthen the Orlopp breed by merging the best traits of the two Bronze lines. That’s the premium breed we now proudly call ‘Orlopp Bronze’. Price is $11.05 each, minimum of 10 – unsexed only. The Artisan Gold is reminiscent of a more traditional era, with old-world traditions and artisan values. With heritage tracing back to the Landes, Aquitaine region of France, the Artisan Gold is from a country renowned for its dedication to taste, uncompromising quality, and high standards. The Artisan Gold is a rare breed that is small in size and slow growing. It has black feathers, unique coloring in the face and feet, long black legs, and a pronounced beak. The Artisan Gold thrives in a free-range or custom environment where it can express natural tendencies such as roaming and roosting. The Artisan Gold offers a robust, gamey taste that is exotically different from traditional turkeys currently in the market. With its unique and uncommon characteristics, the Artisan Gold is a standout on any farm or dinner table.